Chemical and UV resistant 2-part coating, inside and out. Steel doors with 3-point key lock hardware. 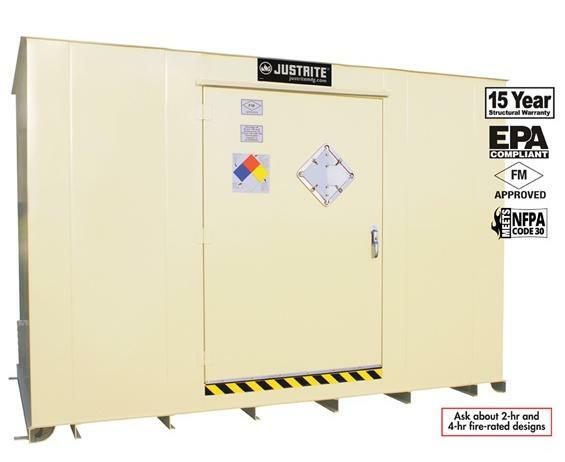 Compliant, durable, and weatherproof lockers provide safe and secure outdoor storage of hazardous materials, chemicals, and waste. 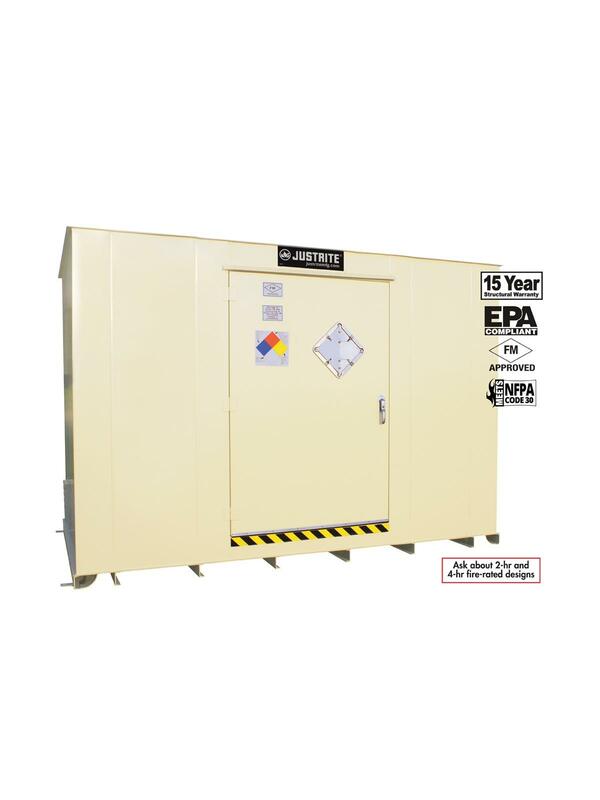 Constructed with heavy-gauge steel and an all welded, leak proof secondary containment sump. 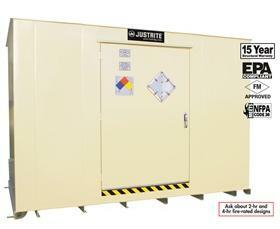 Units feature removable galvanized steel grate flooring for easy sump inspection and cleaning. Natural draft ventilation with 2 vents. Forklift channels for easy relocation includes seismic bolt-down plates. FM approved for storage of Class 1B flammables. Optional accessories include ramps, shelving, lighting and more. FOB Shipping Point. 97 x 115 x 110"97 115 110"